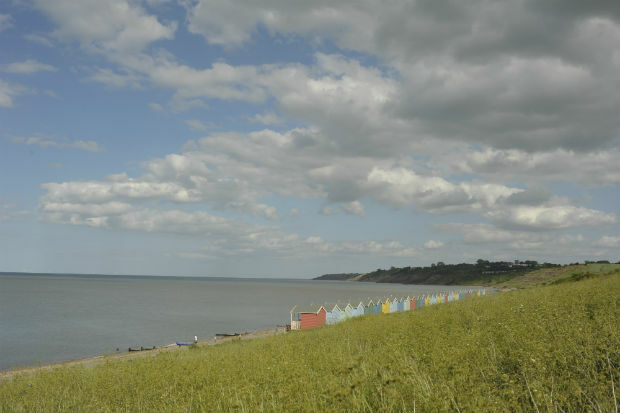 There are over 400 bathing waters in England, and from 2016 water quality will be classified as either Excellent, Good, Sufficient or Poor, based upon regular samples and testing by the Environment Agency to check how clean the water is. These new water quality standards are almost twice as tough as before. Who came up with these new standards? WHO did. No really, WHO did, the World Health Organisation. They are based on guidelines produced by the World Health Organisation (WHO) which have been adopted by many countries, including ourselves. But what does that mean for the public? Well, these higher standards will better protect people who swim in the water. Now that the bar has been raised, based on better science, this has challenged a range of organisations and groups to reduce pollution and increase water quality. So how good is water quality now? 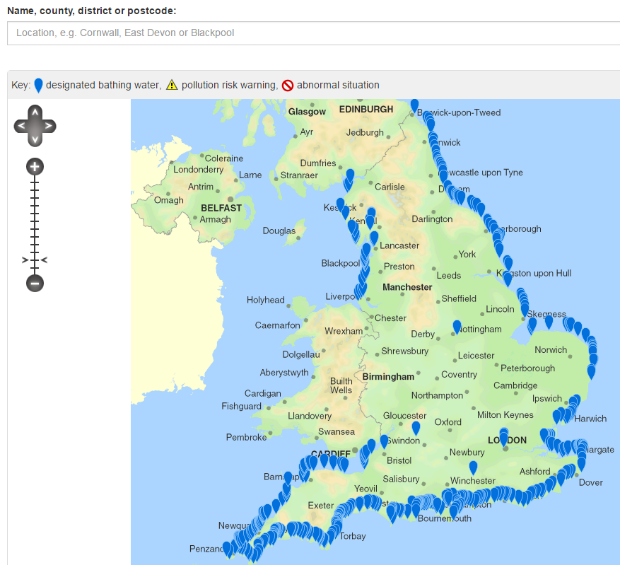 You can check out the annual results for your local beach online by either searching by the beach name or looking on the map on the Environment Agency’s Bathing Water Data Explorer. 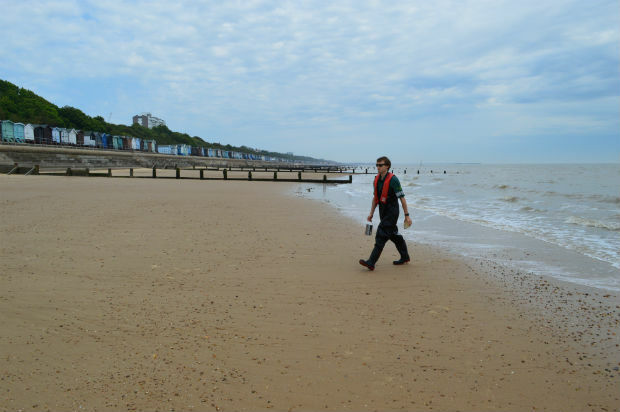 The results are based on weekly water sampling carried out by our trained staff visiting each bathing water beach from May to September every year. Over 8000 samples are taken each season, we test to see what levels of bacteria are present in the water. There are over 400 bathing waters in England and we are really proud that 97% of these met the new higher standards in 2015, in fact 90% of these achieved the top rating of Excellent or Good. Along with water companies, farmers, and other environmental organisations big steps have been made over the last 20 years to improve bathing water quality. In the early 1990s only 28% of bathing waters would have met the highest standards! 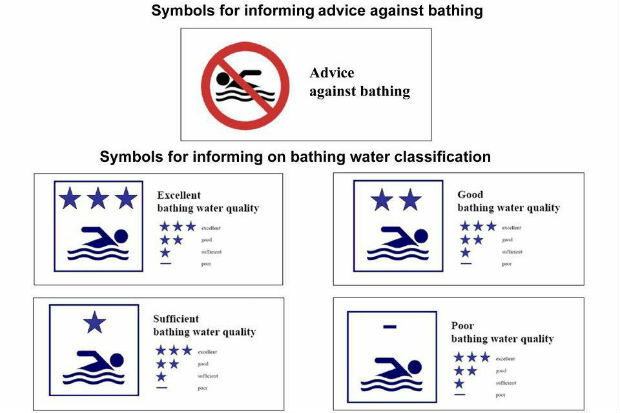 Every bathing water now has a sign letting you know how the water was classified – either Excellent, Good, Sufficient or Poor. At 156 bathing water sites we also offer real time water quality information. This can be found on signs at the beach or on our Bathing Water Data Explorer. Work continues to improve and maintain water quality at popular swimming spots for everyone to enjoy. There is more to do and everyone has their part to play in helping to keep our bathing waters clean #cleanerseas. There are lots of simple steps you can take at home and whilst at the beach. 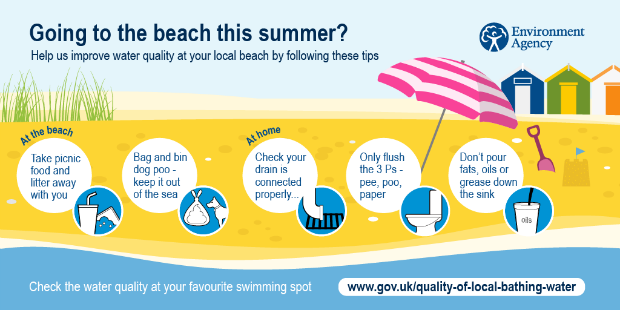 You could share the Environment Agency's top tips on how all visitors to the seaside can help protect water quality at beaches. Jonathan Ponting, author of this blog post, is the Environment Agency's national bathing water quality manager.